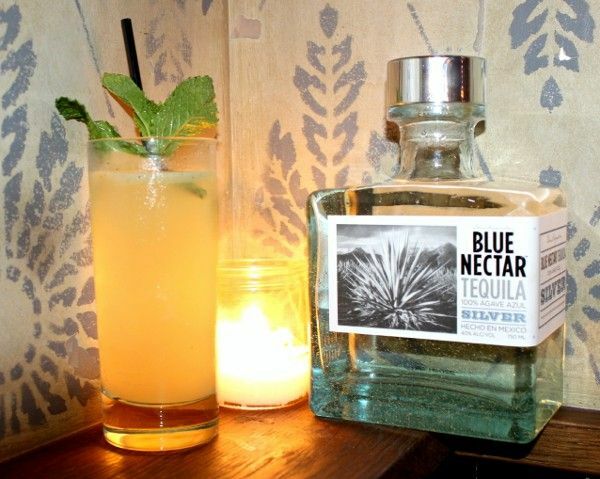 The Minted Mule was created by Pete Vasconcellos of The Penrose, New York City. If you love your Moscow Mules, this is one you really need to try. It features silver tequila, ginger beer, lime and Mezcal. So in addition to that wonderful ginger flavor, you get hints of smoky and citrus notes and the result is a taste that’s similar to the Mule, but wonderfully more complex. This is a great cocktail that goes with meals or on its own. It’s wonderful anytime you’re in the mood for ginger. Fill a cocktail shaker with ice. Add the tequila and lime juice and shake thoroughly. Pour it in to a highball glass, then top it off with the ginger beer. Pour slowly to float the Mezcal on top. Garnish with the fresh mint leaves.